(VIDEO) Concert de Nöel au Palais Royal with the Belgian Royal Family. Last Wednesday, December 16, 2015, Their Majesties King Philippe and Queen Mathilde of Belgium accompanied by their four children — Princess Elisabeth, Prince Gabriel, Prince Emmanuel, Princess Eleonore — attended the Concert de Nöel held at the Palais Royal in Brussels. Today, the Belgian network, RTL, has uploaded the entire performance on their site for all to enjoy. If you decide to watch the concert you will enjoy a performance of Georg Friedrich Händel’s, Messiah, by the Concert d’Anvers and the Vlaams Radio Koor under the direction of Mr. Bart Van Reyn with soloists from the Chapelle Musicale Reine Elisabeth. Click here to watch the entire Christmas concert. 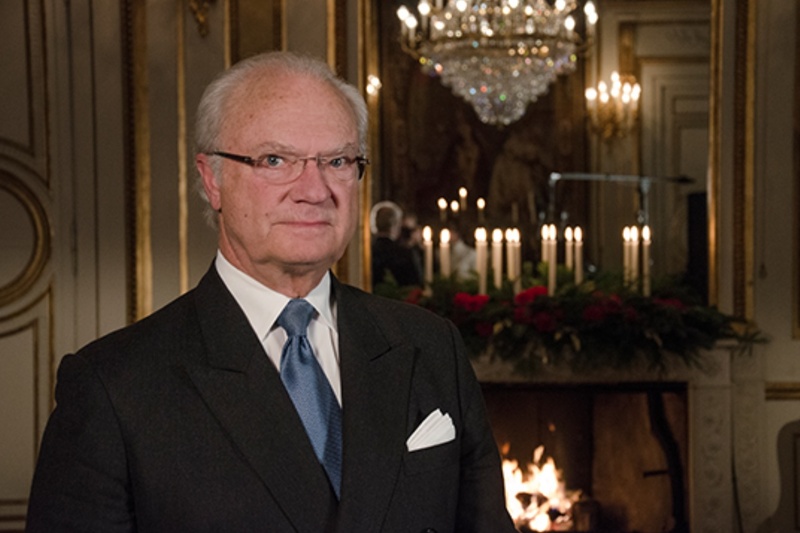 His Majesty King Carl XVI Gustaf of Sweden Delivers His Christmas Message on Sveriges Radio. On December 25, 2015, His Majesty King Carl XVI Gustaf of Sweden delivered his Christmas message live on Sveriges Radio from the Kungliga Slottet in Stockholm. “Dear Swedish citizens, at home and overseas. Everyone in Sweden! My family and I would like to wish you all an enjoyable Christmas. This year the cheer of Christmas has perhaps been even more keenly awaited than usual by many of us. It can’t have escaped anyone’s notice that this has been a challenging year for Sweden and the Swedish population. Global concerns have impacted on us here in a way we haven’t experienced for many years. We should take the opportunity now over the holiday to take a step back for a while, and take time to reflect on the past year and perhaps formulate our hopes for the year ahead of us. There are 60 million refugees in the world. Some of them have come to seek asylum and a future for themselves and their children here in Sweden. We have a strong desire to help people. Massive and important efforts are being made to assist those seeking asylum and security. In the autumn I met several young people at an asylum centre outside Östersund and I was greeted by a sense of enthusiasm and a keen aspiration to succeed and do well in their new country. 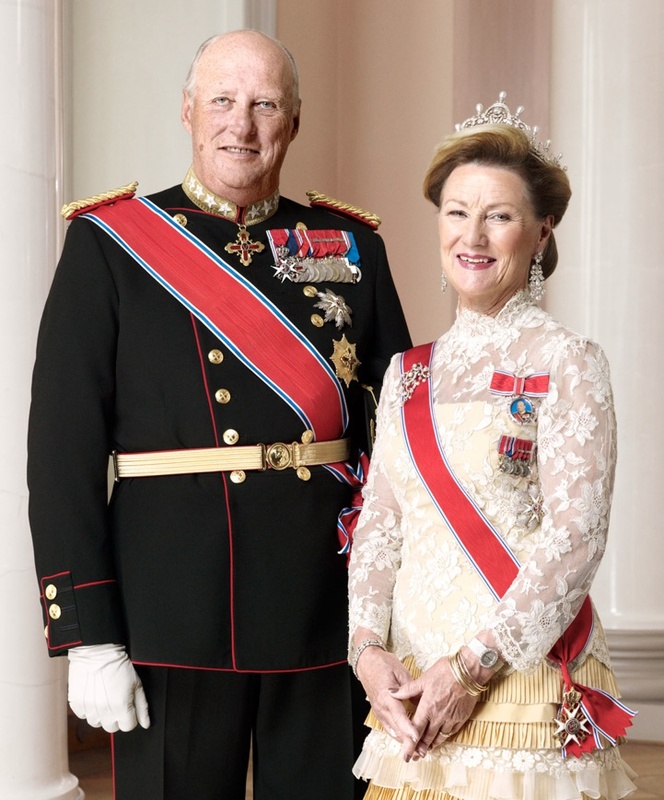 Together with The Queen, I also visited Kronan School in Trollhättan a while back. A perfectly ordinary Swedish primary and lower secondary school with basketball hoops in the playground and the word “Welcome” painted in large yellow letters at the entrance. It could have been anywhere at all in Sweden if it wasn’t for the terrible act of violence that had occurred at this very school several weeks earlier. Candles in memory of the victims had been lit at the youth recreation centre. Amidst the grief and gloom it was good to see how the staff were working to restore things for the pupils. To restore a sense of normality and security, which is so valuable, to children and adults alike. Then in November, 130 young people lost their lives in a series of coordinated terror attacks in Paris. These attacks affected us all deeply, and they reminded us how vulnerable we are. The openness and trust that has characterised our society thus far cannot always be taken for granted. Not even here in Sweden. We must safeguard and stand up for these values. Undoubtedly, our times are subject to darkness and unrest, but that is one of the reasons why it is so important to also hold onto all the positives and remind one another that we have good reason to feel hope and confidence in the future. As Sweden’s head of State, I visit many places both in Sweden and beyond our country’s borders and meet many people from different walks of life. Over the past year, for example, I have visited several authorities working to consolidate our contingency planning for accidents and crises. I have seen some of the important work being done by the Swedish Civil Contingencies Agency and SOS Alarm. Work that is particularly relevant today. It is also interesting to see how international cooperation is leading to reciprocal exchange. Swedish know-how can save lives in other countries and we in turn are able to learn from others’ knowledge and experience. During the year I have also met many talented Swedish entrepreneurs who are creating new jobs, in particular through environmental innovations. The people behind these enterprises have extremely varied backgrounds. They may come from Västerås, from Gnosjö or from Pakistan. However, they have certain crucial things in common: they have an idea, and they are focused on working hard to realise it. Such ideas, and the genuine desire and driving force embodied within them, will benefit us all in the future. It is inspiring to gain an insight, through these meeting and visits, into some of what is being done to not just keep Sweden running, but to ensure future development, even in times of hardship and change. One of my most recent trips this year was to Paris and the big UN climate conference. I was there when the conference opened, and there was a strong feeling of optimism in the air, but also a sense of gravity and determination. The countries of the world have worked together on one of our biggest future challenges. We now have a common objective to curb global warming. A historic agreement is in place: the first ever global climate agreement. It is gratifying and inspires hope in the face of future challenges. I am proud to be able to say that Sweden will be a force to be reckoned with in the continued work towards a sustainable future. Incidentally, it was also in Paris, 120 years ago, that Alfred Nobel wrote the will that formed the basis for the Nobel Prize. It was a particular honour this year to be able to award the Prize in Chemistry to a winner with a Swedish background. Tomas Lindahl began his career as a scientist here in Sweden, and together with colleagues he has laid an important foundation for the development of new cancer treatments, among other things. The major issues of our time sometimes bring us face to face with a difficult balancing act, as a country and as individuals. It is not always easy to know which is the right way forward. My desire is for us as a nation to shoulder our shared responsibility to contribute to constructive solutions to the challenges of the future. But we should also take responsibility as people, to show respect and consideration to one another. And our responsibility as adults is to communicate confidence, hope and belief in the future to our children and grandchildren. On a more personal level, The Queen and I are very happy that The Crown Princess and Prince Daniel are expecting their second child. We are also delighted that Prince Carl Philip and Princess Sofia are to become parents, which will make us paternal grandparents for the first time. In this context, let me take this opportunity to thank you for all your good wishes during the year, on the occasion of both Prince Carl Philip and Princess Sofia’s wedding and Prince Nicolas’ christening. Your kind words and good wishes mean a great deal to all our family. In conclusion, I want to thank those of you who are actively involved in Swedish clubs and organisations. I believe that broad networks of dedicated individuals are a huge asset to our country, in particular when it comes to taking care of our young people and helping new Swedes to settle into our community. With the new year approaching, I want to offer special encouragement to those of you who devote your time to others. You are needed! (VIDEO) His Majesty King Willem-Alexander of the Netherlands Delivers His 2015 Christmas Speech. On December 25, 2015, His Majesty King Willem-Alexander of the Netherlands delivered his 2015 Christmas message. The pre-recorded speech was filmed at Villa Eikenhorst in Wassenaar earlier this week. “Christmas gives us a moment of reflection. To get away from the daily flow of events can be more clearly where we believe in ourselves and that we ourselves stand for. It is also a need, now that Europe is facing one of the biggest challenges of the past few decades. The attacks in Paris are still fresh in our memory. In the regions around us are large groups of people through terror and violence adrift. They search in the Netherlands a safe haven and a chance at a better life. Many people in the Netherlands are worried about the future and wonder how we can protect our own way of life in a world which we can not close us. What is particularly close to our heart, our freedom and ability to make our own choices. That freedom is fought so hard and put so many sacrifices! What we have done with the freedom that has fought so hard over the centuries? Very Good! We have built a democratic state that belongs in many ways the strongest in the world. With a high level of prosperity and amenities. And with millions of citizens who selflessly for others. I spent the past year many of them met and talked. Great what you’re doing! There is in our country to do much important work to involve everyone. Some feel abandoned and insufficiently heard. But our country – our place in the world – is precious to us. Netherlands is a country to call home. Yet this did not make us invulnerable to worry and anxiety. About events overtake us and that we can not cope. About achievements that are not obvious. Of course we want to protect what is dear to us. We do not stop our fear away or deny. But we must also not give the reins of our life and let him dominate our society through. Tranquility and mutual trust are friends of freedom. “Do not be afraid,” the angel in the Christmas night to the shepherds in the field. When it comes to major challenges to show what we stand together, our democracy and our constitutional state. It is essential that people are the dignity and at peace with one another can continue to differ. Peace is not for the idle. It requires courage to listen to each other and their own ideas to keep critically. This courage is required from all of us, now we must work together to find a way in a turbulent time. The challenge is now to show what we together as liberated country are really worth. In times like these is again clear how much we share with the countries around us. Belief in freedom. Respect for the life of every human being and for everyone’s right to make their own choices. Solidarity with those who really need our help. Concern for the future of our planet, as this month appeared in Paris, where the European countries united marched. These values ​​are the heartbeat of our society. They are essential for us as free people and always give us the strength to continue. Our combined strength farther and connects more than we sometimes think. We do not crawl back into our shell. On the contrary. What fits, is proud of our free and open way of life. Our belief that everyone in our Kingdom on an equal footing should be able to participate. And our law that protects what is defenseless and prevents only be heard the loudest voices. The complex world in which we live is not as challenges more difficult than that for generations had to face before us. Who listens to veterans and persecuted and the diehards who have built our country after the war with scarce resources again, realizes that. According to the apostle Paul, freedom is a calling. I have great confidence in the ability of our country – even now – to respond to this call and to remain a community of free people. (VIDEO) Her Majesty Queen Elizabeth II Delivers Her 2015 Christmas Message. On Thursday, December 25, 2015, the British royal court released the pre-recorded video of Her Majesty Queen Elizabeth II’s Christmas message.